Kulfi House is the best place to be in, if you are a Kulfi Lover. We serve more than 50 flavours of Kulfi. 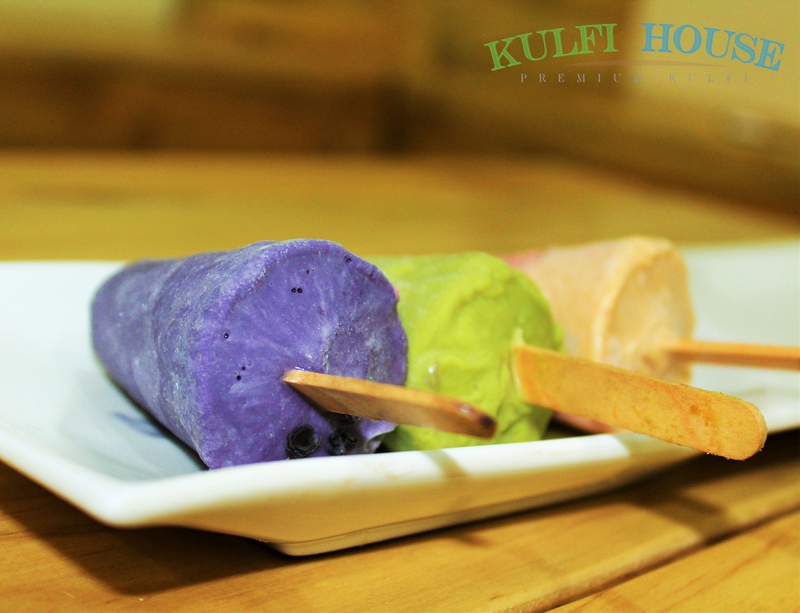 Kulfi House Kulfis served are 100% Veg and made from pure milk and milk products. All our Kulfis are made in traditional method, which gives our Kulfi the Rich Creamy texture and Delicious Taste. You can get traditional flavors like Malai, Kesar Pista, Gulkand to the new exotic flavors like Blueberry, Coffee Walnut, Roasted Almond. Apart from Kulfis we also have Kulfi Milkshake and Kulfi Faloodas, to give your Taste Buds a Treat! We take pride in serving the highest quality premium Kulfis, Kulfi Milkshakes and Kulfi Faloodas. Customer is our top priority and we do what ever it takes to enhance customer experience at every stage. An upscale and world class experience in the premium Kulfi category, Kulfi House offers a luxurious atmosphere where customers can enjoy our Kulfi.